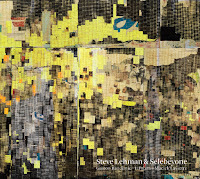 Any new album from saxophonist and composer Steve Lehman is a major event. His latest effort is titled "Steve Lehman & Sélébéyone" (Pi Recordings) and is credited to the saxophonist as well as to rappers Gaston Bandimic (Wolof), HPrizm (English) and soprano saxophonist Maciek Lasserre. 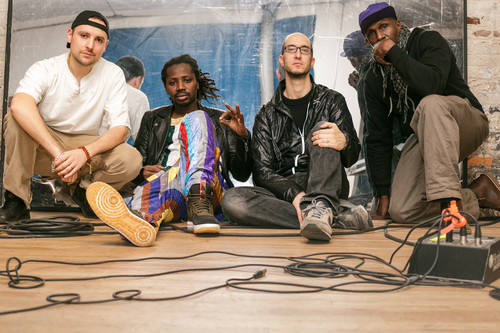 The nine tracks feature rapping in English and Wolof, the official language of Senegal, The Gambia, and Mauritania, all part of sub-Saharan Africa. As sung/rapped by Bandimic, the words have a tremendous percussive feel. HPrizm, a founding member of the Anti-Pop Consortium, is also a strong rapper. 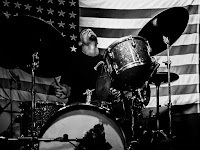 Powered by the rhythm section of Drew Gress (acoustic bass) and the brilliant drummer Damión Reid plus the keyboard and piano work of Carlos Homs who has worked with drummers Bernard "Pretty" Purdie and Jim Black and saxophonist/clarinetist Michael Moore, the music fires on all cylinders. Five of the tracks are composed, sequenced, and produced by Lehman while Lasserre does the same for four others. Because I like to know what the words are, I recommend you go to www.stevelehman.com/selebeyone and check them out (the Wolof verses are translated into English). But, do pay attention to the music, to the burbling keyboards, to the solid bass lines, to powerful streams of phrases from Lehman's alto sax (at times sounding like Henry Threadgill) and, especially to the fascinating work of drummer Reid. Pieces such as Lehman's "Are You In Peace" where he pushes the music forward at a torrid pace while Gress holds down the bottom and plays counterpoint as well are filled with stunning tension that reflects the lyrics. Then, there is "Cognition" where his bass drum and snare reflect the bubbling keyboard. Lehman soars over the rhythm section, his acid-seared sound going way to Bandimic - his rap is punctuated by impressive bass work and snapping drums. Lasserre's pieces have more of a "space" edge; on "Dualism", his soprano sax is set against Lehman's alto, the synth washes, and HPrizm and Bandimic's vocals. "Hybrid" plays with various sound samples while the rappers push the pace. The blend of soprano and alto saxophone shadowing the lyrics, giving the words about oppression and freedom a framework, buzzes, chatters and soars. Sounds floating in and out of the sound spectrum, the trance-like repetition of melodic fragments, jittery rhythms, powerful raps, all make "Steve Lehman & Sélébéyone" attractive. Jazz purists just might turn up their nose but adventurous listeners, especially younger ones, will find the album will bring them closer to the intersection of jazz and rap. The music of Steve Lehman is a giant mixmaster, many influences thrown in the musical stewpot, boiling over at times but never less than fascinating. For more information, go to www.stevelehman.com. From the opening bass figure of "NoD For Nelson", the music contained on "Stephan Crump's Rhombal" (Papillon Sounds) s steeped in the blues. There are moments when the music glides over to bebop (the handsome swing of "Skippaningam") or becomes wonderfully unclassifiable (the propulsive push of "Birdwhistle" - right near the end, the tune breaks into a rhythm similar to Lou Reed's "Walk on The Wild Side" while ) but you will listen to this album for the impressive interactions of Crump (bass and compositions), Tyshawn Sorey (drums), Ellery Eskelin (tenor saxophone), and Adam O'Farrill (trumpet). Pay attention to how the solos grow out of the melodies, how the quartet mix their distinctive styles to the composer's vision of the music, and the clarity of the sound. There's a soul music edge to "Grovi" in it's laid-back beat yet listen to the melodic bass lines under the solo phrases that move from foundational to counterpoint. Also notice how Eskelin steps in behind O'Farrill's solo several bars before his own solo yet does not seem to butting in, just adding to the sound. Sometimes, it seems as if we're stepping into a private conversation, as if the band was reflecting on previous events. The deep blues of "Loose Bay" is a good example; moving at a very slow pace atop the splashing cymbals, tom-tom beats, and long bass tones, the youthful trumpeter takes a fascinating solo that often changes in volume, rising from a near-whisper to a heartfelt cry. The saxophonist follows, drifting over the beat, slowly but surely working around the bass lines but never in an agitated state. You'll like the funky drive of "Esquima Dream" (Sorey in a "Pretty" Purdie state of mind) and the steady shuffle of "Tschi" (with its fun switch-arounds). Really, let the music of "Rhombal" wash over you. Play it loud, let the rhythm section fill your ears, notice the Ornette Coleman connection in the blues feel of several tracks (and the instrumentation) and also the folky melodies of pieces such as "Pulling Pillars" (the solo bass piece before the final track, "Outro for Patty"). Take it all in, then go back and let the sounds resonate inside your mind and body. Sometimes, the best music sounds old and new at the same time. 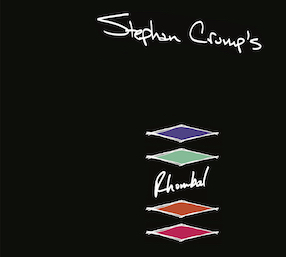 "Stephan Crump's Rhombal", dedicated to the bassist's late brother Patrick, is contemporary blues, "blues with a feeling." Read what Stephan Crump has to say about the album and his collaborators by going to stephancrump.com/albums/rhombal/. "Calma" is the opening track of "All The Dreams", the new album from Sara Serpa (vocals, piano, Fender Rhodes) and André Matos (guitars, electric bass, percussion) to be released on Sunnyside Records in mid-September. Meaning "calm", that's a good initial reaction to the 14 tracks on the recording. Ms. Serpa's gentle and emotionally true voice, either solo or multi-tracked (as it is on several tracks), blends so nicely with Matos's electric guitar, whether it is a folky track such as "Estado De Graça" or the mysterious "Night" (two guitars in the right speaker vying for attention). Three cuts set poems to music, with the afore-mentioned "Night" based on a William Blake poem from "The Song Of Innocence" while the minimalist "Programa" features words from Portuguese poet Luis Amaro. "Nada" is from the pen of Ālvaro de Campos (a heteronym of poet Fernando Pessoa; the duo bathes this poem about a person who has settled for a world with nothing with shimmering guitars and a straightforward vocal. One other cut, "Os Outros", employs words from a 1964 essay by Brazilian writer Clarice Lispector (1920-1977). While most of the album is composed of duo performances, mix engineer Pete Rende adds synthesizer to three tracks while Billy Mintz can be heard on drums and percussion on four cuts. The latter musician's excellent hand drumming can be heard on haunting "Água", bubbling beneath the vocal and guitars, and quietly accenting the voice, piano, and guitars on "Lisboa". Both he and Rende add their talents to the opening track, Mintz with the simple yet effective brushes work. Wordless vocals are used to great effect throughout the album, from the classically-influenced "A La Montagne" to the Beatles-esque "Postlude" (kind of like "Sun King" from "Abbey Road") with its waterfall-like descending vocal lines. Listen to Ms. Serpa's voice rise out of Rende's synth on the final track, "amlaC", not exactly a backwards version of the first cut - the track serves to bring the recording full circle and brings the dreams to a close. Because André Matos does not take many solos but uses his guitar to paint the various backgrounds, one might overlook his contributions. He wrote or co-wrote 11 of the 14 tracks, his guitar is the foundation and other voice in the conversations of the songs, and his lines flow as effortlessly as the vocals. Sara Serpa understands the duo setting having recorded with pianist Ran Blake and the various vocal choirs on the recording may remind some of the work she does with the vocal quartet Mycale. The music on "All the Dreams" is in no hurry, at times as comforting as cool summer breeze or a warm blanket on a winter night. Warm, like calm, should be how one feels after spending time with this album - warm, calm, and, ultimately, hopeful. For more information, go to serpamatos.com or check out the album page at the Sunnyside Zone. The Side Door Jazz Club in Old Lyme celebrates the last week of Summer (some of us have to back to work) with yet another two nights of strong music. Friday (8/26), the venue welcomes pianist and vocalist Champian Fulton for an evening filled with standards, jazz classics, and fine originals. Earlier this year, Ms. Fulton released "After Dark", an album dedicated to the music of Dinah Washington, played by an impressive ensemble including bassist David Williams, drummer Lewis Nash, and, on four tracks, trumpeter Steven Fulton. The music is filled with classic tracks and it's quite a delight. (Update) - Champian has a new rhythm section, with bassist Adi Myerson and drummer Ben Zweig. Trumpeter/flugelhorn player Fulton joins the band as well. You can find out more about these folks and their bandleader by going to www.champian.net/news/2016/8/11/backstage-pass-meet-the-band. Ms. Fulton is an impressive musician so be prepared for a fun evening. Doors open at 7:30 p.m. for an 8:30 show. Call 860-434-0886 for more information and reservations. On Saturday night, Jan and Ken welcome the Jeremy Baum Organ Trio for an evening of funk and blues. Joining the Woodstock, NY, native will be guitarist Chris Vitarello and drummer Eric Perez. The Trio plays a mix of originals and classics by people such as James Brown, Beck, Prince, and others - it's the perfect music for a warm summer night as it makes you want to dance. One can hear the influence of the Smiths on Baum's style, that is Jimmy, Johnny, and Dr. Lonnie Liston but also Charles Earland. 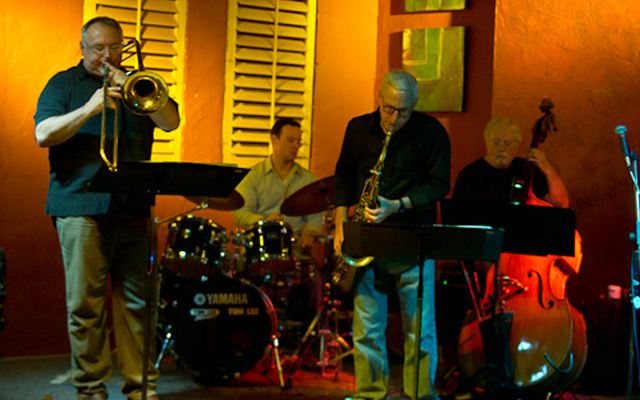 The music starts at 8:30 p.m. For more information and reservations, go to thesidedoorjazz.com. 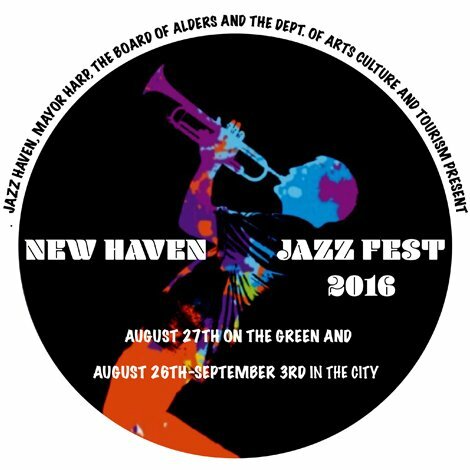 The New Haven Jazz Festival takes place on Saturday August 26 on the New Haven Green. The music starts at 6 p.m. with the Neighborhood Music School Premier Jazz Ensemble, a group from the school just a few blocks from the Green. 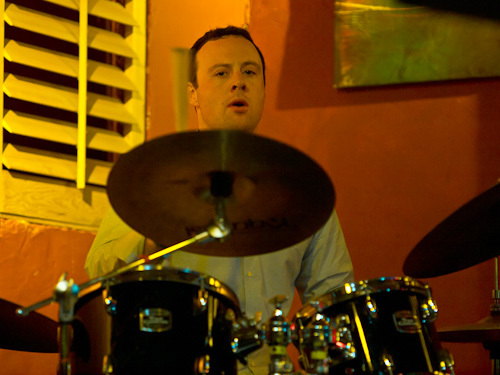 At 6:45, the Mitch Frohman Quartet takes the stage. Frohman, who plays saxophone and flute, had a long association with music legends Mongo Santamaria and Tito Puente. 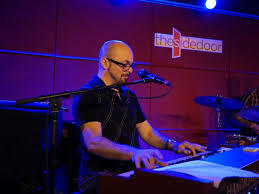 His latest album, "To Daddy With Love", was issued in 2013 on Truth Revolution Records and features pianist Zaccai Curtis, his brother Luques on bass and drummer Joel Mateo - the CD features songs to dedicated to his employers. For the New Haven gig, both Zaccai and Mateo will play with Frohman and they will be joined by bassist Alex "Apolo" Ayala. Headlining the evening is New Haven native and alumnus of the Neighborhood Music School, pianist Christian Sands. 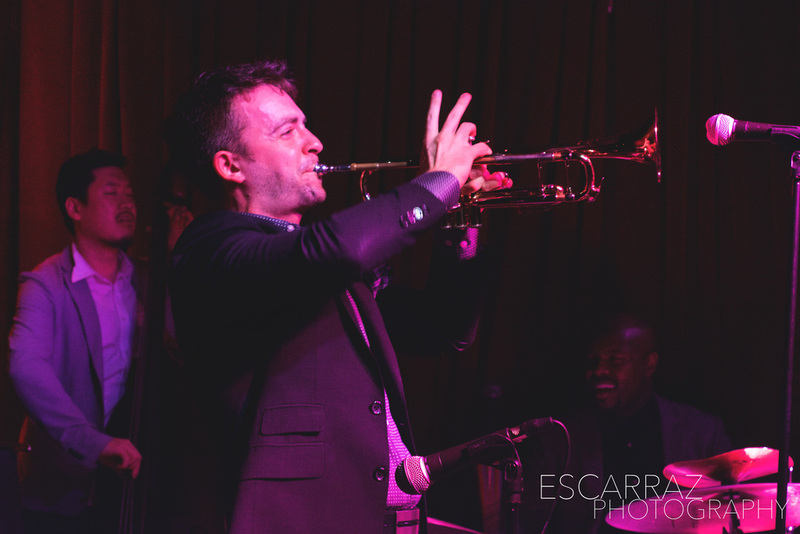 Sands, who has toured and recorded with the likes of Christian McBride, Dianne Reeves, Bobby Sanabria, James Moody, Wynton Marsalis, and a slew of other great names, is a powerful and melodic player who is only in his mid-20s! He recorded and released several albums before he was 16 years old while his latest recording, a double album titled "Take One: Live at Jazzhaus Montmartre Copenhagen", was issued in 2015 in Denmark (it's available in the States at www.amazon.com and at www.emusic.com) - the 2014 Trio date features the fine bassist Thomas Fonnesbæk and the veteran drummer, 76-year old Alex Riel. Mostly standards and fascinating jazz compositions, the album finds the young pianist in full stride with a great rhythm section. Not sure who will be beside him for the Christian Sands Quartet gig at 8 p.m. in New Haven but young Mr. Sands just completed his debut recording for Mack Avenue Jazz - he might bring along some of the fine people from those sessions. 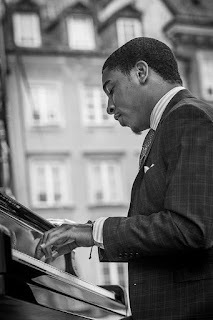 To find out about the excellent young pianist, go to www.christiansandsjazz.com. For more information about the New Haven Jazz Festival - make sure to check out all the different shows in New Haven restaurants and bars between August 26 and September 3 - go to http://jazzhaven.org/2016-new-haven-jazz-festival/. 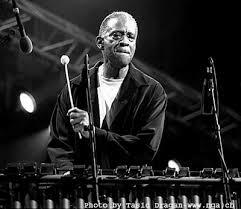 As I was writing the column below, the word of Bobby Hutcherson's passing on August 15 came to my attention. The vibraphonist and composer first came to critical notice in the early 1960s recording on Blue Note Records with the likes of Jackie McLean (1963 on "One Step Beyond") and Eric Dolphy (1964 on "Out To Lunch"). His first album as a leader, "Dialogue", was issued in 1965 and he continued to record for the label until 1977. Born in California in 1941, Hutcherson's initial work came after his move to New York City but the loss of his cabaret card (due to an arrest for marijuana possession) brought him back to the West Coast. In 1969, he began a collaboration with saxophonist Harold Land (1928 - 2001) that resulted in a series of Lps that were more melodic and accessible than some of Hutcherson's earlier works (yet still appealing). After the vibraphonist left Blue Note, he recorded for a number of labels and appeared as a guest on a host of albums (with Woody Shaw, Abbey Lincoln, Freddie Hubbard, Pharaoh Sanders, and many others). In 2004, he was a founding member of the SF Jazz Collective, touring and recording with the group until 2007. 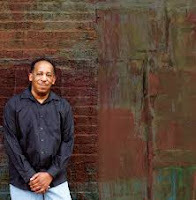 Hutcherson was named a NEA Jazz Master in 2010. He returned to Blue Note in 2014, releasing "Enjoy The View", an album featuring saxophonist David Sanborn, organist Joey DeFrancesco, and drummer Billy Hart. To read more about the great vibraphonist, go to ww2.kqed.org/arts/2016/08/15/bobby-hutcherson-jazz-legend-of-the-vibraphone-dies-at-75/ and www.sfjazz.org/onthecorner/bobby-hutcherson. 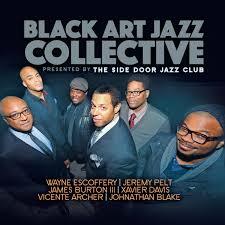 Big weekend at The Side Door Jazz Club in Old Lyme as they welcome back the Black Art Jazz Collective to celebrate the release of the sextet's debut album. 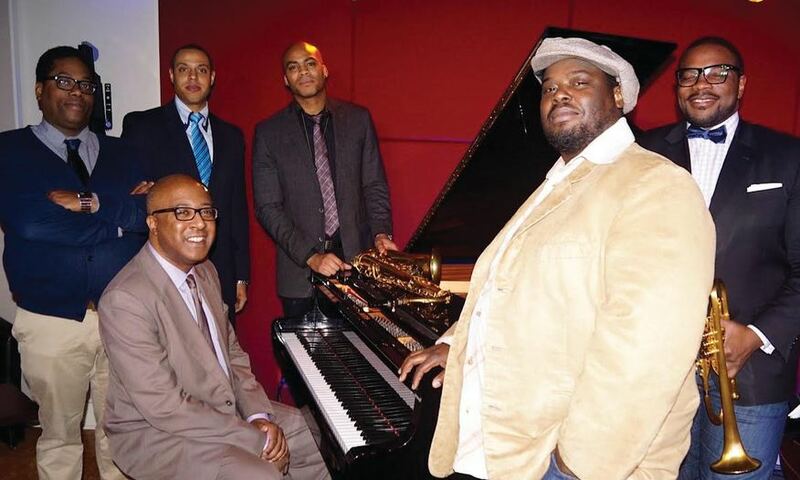 The first time that Wayne Escoffery (tenor saxophone), Jeremy Pelt (trumpet), James Burton III (trombone), Xavier Davis (piano), Vicente Archer (bass), and Johnathan Blake (drums) came to the venue back in December of 2014), they were invited to record the gig and use the performance space to record their debut album. Even better, Ken Kitchings (owner) and Jan Mullen (manager and artistic director) offered to produce the project. The recording, which I reviewed when it was issued in July (read that here) shows the strengths of the ensemble, e.g. good songwriting, an impressive rhythm section, strong soloists, and smart interactions. Now, the sextet comes back and will bring the music to life in the place where it was first born. Best of all, they'll be at The Side Door both Friday and Saturday nights, playing music from the CD and trying out new songs. Doors open at 7:30 p.m. and the music commences both nights at 8:30. Join the fun by calling 860-434-0886 or online at sidedoorjazz.com. Pianist and vocalist Warren Byrd and his partner, trumpeter and vocalist Saskia Laroo, were in Europe when the apartment they live in in Hartford suffered fire damage as well as being looted in the aftermath. Yet, they persevere as they pick up the pieces, finding joy in performing with the Afro Semitic Experience as well as on their own. Warren, Saskia, and the Byrdspeaks Ensemble perform this Saturday (Aug. 20) at 7 p.m. in Passages Gallery, 509 Farmington Avenue in Hartford. Joining the duo onstage will be Mixashawn (saxophones, vocals), Stephen "King" Porter (bass), and George Mastrogiannis (drums). Byrd is a splendid pianist who can play just about any style plus he's got quite a voice so expect the eclectic. For more information, call 860-523-3232. On Sunday, the duo of Byrd & Laroo play at 5:30 p.m. as part of the Sigourney Square Festival in Sigourney Square Park in Hartford. There's not much more information than that. Sometimes it's amazing how quickly time flies by. I received the US debut of drummer and composer Guilhem Flouzat last summer and put it on the pile of "stuff to review" - school started, the pile got higher, and the recording got overlooked. My mistake. "Portraits" (Sunnyside Communications) features nine original compositions performed by an ensemble that includes Ben Wendel (tenor saxophone), Desmond White (bass), Anna Webber (tenor sax, flute on 3 tracks), Jay Rattman (alto sax on 3 tracks), Laurent Coq (piano on 4 tracks), Can Olgun (piano on 5 tracks), and Becca Stevens (voice on 2 tracks). The music is pleasantly beyond genré - yes, this is instrumentation for a jazz band and yes, there are solos but the melodies and rhythms come from so many different influences. 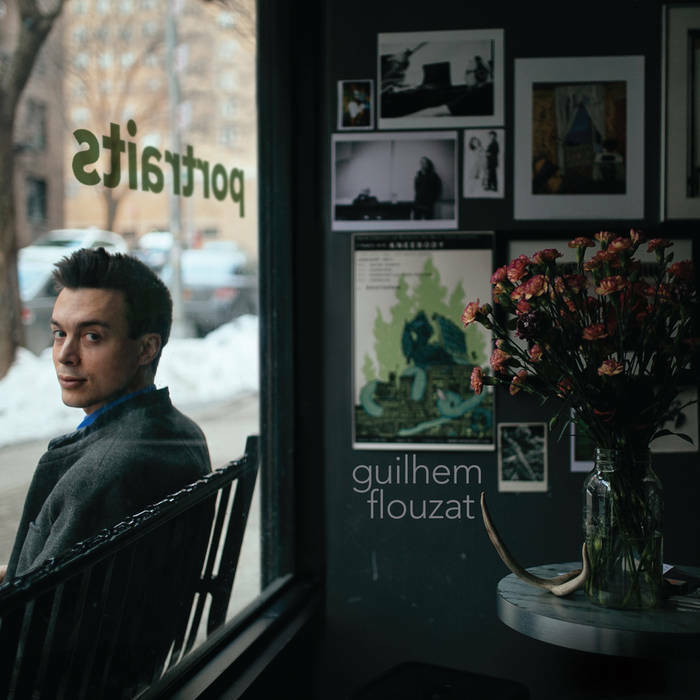 Flouzat, a native of Paris, France, and graduate of the Manhattan School of Music, grew up surrounded by classical music which often shows itself in the richness of his melodies. But, also pay attention to how "melodic" his drumming can be. Listen to "Underachiever" (featuring just Olgun and White) and the conversation the three musicians are having. The playful "Truce" rides in on a simple piano line (Coq), echoed by Wendel, and then the solos are parsed around that melody; first, the piano, with White and Flouzat playing with the rhythm and then the tenor sax, with Wendel being pushed by the active rhythm section, responding with a forceful spot. Ms. Stevens appears on "Where We Should Go", her plaintive voice gently through the piano counter-melody and the subdued rhythm section. Wendel's tenor solo ups the heat but it's back to just piano and voice for several choruses before the band returns. Pay attention to how the song moves, how the dream-like quality of the music envelops the vocals. She also appears on the final track, "A Dream" - the African rhythm of the opening is set against the flowing melody. When White, Coq, and Wendel enter, they each add a distinctive voice, with the bassist shadowing the drums, the tenor sax and piano working with and moving away from the voice. Listen to how the words move into, with, and away from the rhythm. The program concludes three tracks with the three saxophonists. They range from the powerful drive of "At This Juncture in Time" to the slow motion of "Sleepwalk" (good blend of flute with alto and tenor saxes) to the circular melodies of "What's Up Yourself." Each track deserves a close listen to enjoy the voices interact and how the arrangements play with time, colors, and, of course, melody. Unlike "pop" music, most other styles and recordings have no expiration date. I may have come late to "Portraits" but, once rediscovered, this music has staying power. It speaks to those who love melody, conversational interactions, adventurous rhythms, and more. 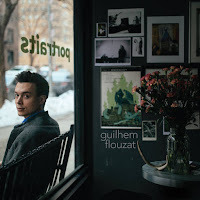 Guilhem Flouzat, who has recorded and toured with vocalist Kevita Shah, saxophonist Adam Larson, and Jay Rattman, is a wonderfully sensitive drummer and proving that he's an excellent composer as well. For more information, go to guilhemflouzat.com. Many people like to be blown away or bowled over by the music they listen to or attend. Some of those people feel that quieter music is not exciting or involving. 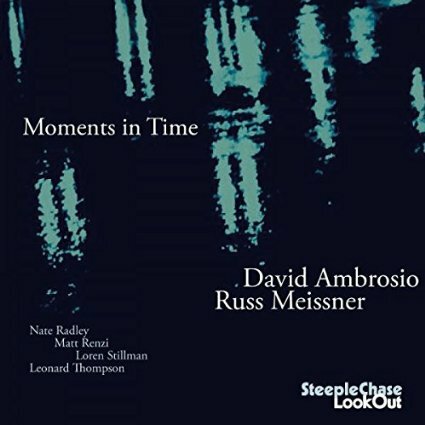 "Moments in Time" (SteepleChase/LookOut) is an excellent example of music that is both subtle and approachable, played by a sextet challenged by the compositions to create music that has emotional power not usually measured in decibels. Bassist David Ambrosio (Grupo Los Santos, George Schuller) and drummer Russ Meissner (Sean Smith Quartet, Jim Campilongo & Honeyfingers) have worked together on numerous occasions, most recently on the bassist's 2014 "Gone" album. 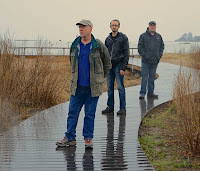 Joining them on the musical journey are Nate Radley (guitar), Leonard Thompson (piano), Matt Renzi (tenor saxophone, English horn), and Loren Stillman (alto saxophone). The music goes in different directions, from the Ornette Coleman and Thelonious Monk-inspired "Quartet Note" (the interaction of the leaders is quite impressive) to the sharper edges of "No V" (great interplay between Radley and Stillman on the opening) to the attractive forward motion of "Far West." The listener can enjoy the work of the rhythm section throughout yet do not forget to pay attention how the guitar and piano are utilized join on most of the tracks plus the strong work of both saxophonists. Meissner (pictured left) and Ambrosio each contributed four songs to the session with one from pianist Thompson. That tune, "First Time on the Moon", has a fine melody shared by both saxophonists while the composer adds smart chordal voices. The rhythm section literally whispers throughout the piece. The drummer's "Hourglass", has a hummable melody that, at times, sounds as bit like a tune by Burt Bacharach. Opening up into sparkling solos from both Stillman and Renzi, the song lopes along atop the active piano, bass, and drums (Radley sits this track out).There's an Eastern feel to the trance-like "Vibey Seven" - written by the drummer, Renzi's oboe-like English horn lines to the album's weave quite a spell behind the lovely alto saxophone while Radley's guitar work is reminiscent of John McLaughlin on "A Silent Way"
It's certainly possible to play "Moments in Time" in the background, enjoying the music for its melodic integrity. Yet, once you really sit and listen to the program, the fine details of the music come shining through. The ensemble does not overplay or overstay its welcome on any song (not always easy to say on a program that lasts over 66 minutes) and many of the solos are memorable. Also memorable is the work of the leaders, Russ Meissner and Dave Ambrosio (pictured left), not only for the support they supply as the rhythm section (Leonard Thompson also contributes there as well) but also for the variety in the compositions. This album is well worth getting lost in. 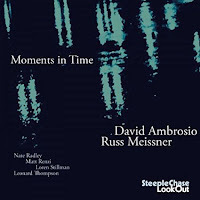 For more information, go to www.russmeissner.com and/or to www.davidambrosio.com. I have been wanting to talk to composer and educator Anthony Branker since 2013 and the release of "Uppity", an album that addressed racism, religion, and hope. Credited to "Word Play" and released on the Origin label, the music included "Ballad for Trayvon Martin", "Dance Like No One is Watching", "Across the Divide", "Let's Conversate" and the title track. At the time, I was teaching a course that dealt with music as social commentary and how music, theater, and poetry often reflects the time in which it is/was created. But, I never had the opportunity to talk with Dr. Branker, at that time the director of the Program in Jazz Studies at Princeton University, leader of the improvising ensembles, and teacher of a number of different courses (he has since stepped down and Rudresh Mahanthappa will take over the program in the Fall of this year.) His debut album, "For the Children" (Sons of Sound Productions), was recorded in 1980 when he was a senior in the Music Department at Princeton (featuring a young Stanley Jordan on guitar) but not released until 2005. 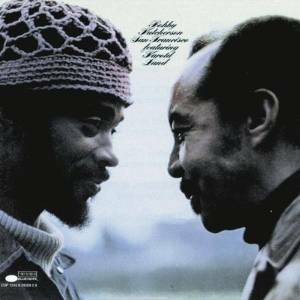 Just 4 months later, Sons of Sound released "Spirit Songs" featuring a sextet known as Ascent including Ralph Bowen (tenor and soprano saxophones) and Ralph Peterson (drums). Dr. Branker, who played trumpet for many years but had to stop due to health issues in 1999, contributed all the compositions and arrangements. 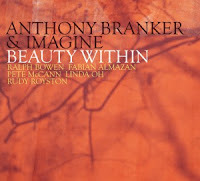 Anthony Branker's new album, "Beauty Within," has just been released by Origin Records (his 7th for the label, three each by Ascent and Word Play) and I could not resist the urge to speak with him. Not only because the music is so exciting, thoughtful, powerful, and hopeful but also because he's named this group Imagine and the music speaks to his dreams. The quintet that plays this music lives up to its name by taking the music off the printed page and giving it vitality as well as a commanding presence. (The interview - really a conversation - will air August 21 at 12 noon on WLIS and WMRD in Old Saybrook and Middletown CT respectively - online at www.wliswmrd.net and on the TuneIn Radio app). Ralph Bowen is here (as he has been on all of Dr. Branker's albums since 2006. Joining him is Pete McCann (guitar), Fabian Almazan (piano), and the amazing rhythm section of Linda Oh (bass) and Rudy Royston (drums), both of whom (pictured left) work with Dave Douglas Quintet and have appeared on each other's albums. It's hard to single out any one track as all nine contain music to recommend them. The opening cut, "Joy", starts with the guitar and the tenor saxophone playing what becomes the melody and then, one by one, Royston kicks in, Ms. Oh sets the foundation and Almazan supplies the chords. Bowen takes off on his solo flight and he really sets theme for the album, moving up through his horn's range while Royston pushes him forward amidst the impressionists sounds of guitar and piano and the underpinning of the bass. There are moments of tenderness and reflection in the mix as well. Ms. Oh leads the quintet on the title track with a quiet yet poetic bass solo. Almazan (pictured left) and Bowen play the theme with McCann supplying the chords. 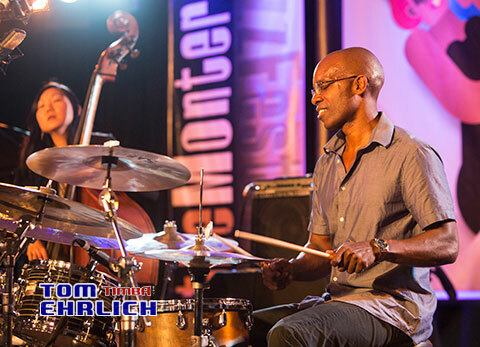 Pay attention to how Royston works below the soloists, painting pictures with cymbal washes, fleet movements across his set, and stop-on-a-dime turnarounds. Some might say his work is distracting but it works to motivate his bandmates. The bassist's solid bottom sound gives the drummer the freedom to be creative and adventurous. And he takes advantage of that freedom throughout most of the album. Also impressive is the powerful work of Ralph Bowen (pictured left). He has such a presence on his reeds. Listen to how he wraps his soprano sax around McCann's modified guitar on "People Everywhere", a high-energy song that also features a sparkling piano solo. His soulful tenor over the gospel piano chords on "(God's) Wisdom" is cliche-free and quite tuneful. Bowen maneuvers the tricky rhythmic landscape on "(We Are) What We Are Not Yet", switching from soprano to tenor after the piano solo and before McCann's excellent spot. The tenor solo on "Many Roads Beneath the Sky" starts in a reflective and soon catches fire, thanks to Royston's insistent jabbing. One track led me to GOOGLE. "Loving Day (June 12)" is named for the day in 1967 when the Supreme Court of the United States struck down the anti-miscegenation laws in 16 states. The case before the court, "Loving vs Virginia" pitted an interracial couple (Mildred and Richard Loving) who had married and were arrested and forced to move out of Virginia. The couple brought the case to then-Attorney General Robert F. Kennedy and, several years later, the Supreme Court unanimously voted the law unconstitutional. Do you need to know that to enjoy the music? No, but the story informs the music and musicians, adding more power to an already powerful composition. There's even more to discover on "Beauty Within" - you can sit each time you listen and concentrate on one or two musicians, hearing how each one works so well with the others. Listen for the impressive piano work of Fabian Almazan, for the razor-sharp solos of Pete McCann (pictured left), the singing tones of Ralph Bowen, the fundamental as well as melodic work of Linda Oh, and the glorious drumming of Rudy Royston. Their life experiences, individual voices, and collective talent make the music of Anthony Branker glisten with confidence and soul. For more information, go to www.anthonybranker.com and/or to originarts.com/recordings/recording.php?TitleID=82719. Some people are complaining that the Summer is going too quickly; therefore, get out and enjoy some of the great live music in CT.
Tuesday evening (or tonight by the time this gets posted, the Summer Sounds at Harbor Park in Middletown presents the Afro-Semitic Experience at 7 p.m. The septet, formed by bassist David Chevan and pianist Warren Byrd, is in its 19th year (although Byrd and Chevan were a duo for the first few years) and going strong. With the percussion tandem of Baba David Coleman and Alvin Carter setting the pace plus the splendid work of Will Bartlett (saxophone, clarinet), Stacy Phillips (violin, dobro), and Saskia Laroo (trumpet), the blend of African American spirituals and jazz with Jewish liturgical and cantorial music is filled with spirit, joy, and serious rhythms. The performance is free and open to the public. Parking down by Harbor Park is sometimes an issue so you may want to park in the lot by City Hall (DeKoven Drive) and walk under the highway (yes, there is a tunnel) and make your way down to the riverside. To find out more about the group, go to afrosemiticexperience.net. Busy three-day weekend at The Side Door Jazz Club in Old Lyme, beginning on Thursday (8/11) with the Greg Piccolo Quartet. 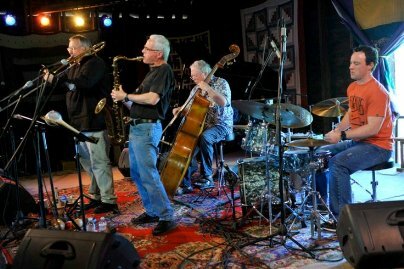 Piccolo (pictured left), a tenor saxophonist best known, perhaps, for his quarter century of making music with Roomful of Blues, has been playing since his early teens. He left Roomful of Blues over 20 years ago, building a career in this country and overseas playing "jump-blues", a style made popular by saxophonist Louis Jordan in the 1940s. Piccolo plays with gusto, whether the music be r'n'b, soul or rock. Joining him onstage will be Shinichi Otsu (keyboards, vocals), Bob Ruggiero (drums) and an unnamed bassist. The Door opens at 7:30 p.m. and the band starts "blowing" at 8:30. For tickets and more information, go to thesidedoorjazz.com. 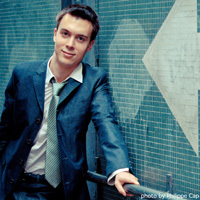 Friday, Jan and Ken present trumpeter and vocalist Ben Benack with his excellent Quartet. Benack, who is only in his mid-20s, comes from Pittsburgh, PA, where his family (he's #III) since the 1940s. He's recorded with drummer Ulysses Owens and trombonist Michael Dease plus played with Christian McBride's Big Band, the Mingus Big Band, and Bobby Sanabria's Afro-Cuban Jazz Orchestra. For the past several years, he's been the trumpet voice behind vocalist Josh Groban. What you will discover is that Benack has a pretty decent voice himself and he's got a fine band, including pianist Emmett Cohen, bassist Alex Claffy, and drummer Charles Goold. To find out more, go to www.bennybenackjazz.com. For reservations, call 860-434-0886. On Saturday night, the fine young saxophonist (tenor, soprano) Tia Fuller comes to Old Lyme and this should also be quite a show. Ms. Fuller has played with Beyoncé, been assistant musical director for Esperanza Spalding's Radio Music Society touring band, and recorded with drummer Teri Lyne Carrington's Money. Three of her four albums have been released on Mack Avenue Records with the latest "Angelic Warrior" issued in late 2012. She's bringing quite the ensemble, all of whom have appeared on her albums; they include her sister, pianist Shamie Royston, her brother-in-law and drummer Rudy Royston, and bassist Mimi Jones. Their familiarity with each other and the material allows them to take chances and gives new life to older material plus try out newer material in the presence of a friendly audience. 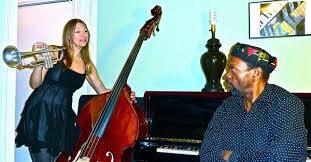 The music, as usual, begins at 8:30 p.m. For more information, go to thesidedoorjazz.com or call 860-434-0886. 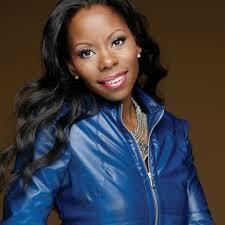 For more about Ms. Fuller, go to www.mackavenue.com/artists/tia-fuller. Her own website is being revamped. 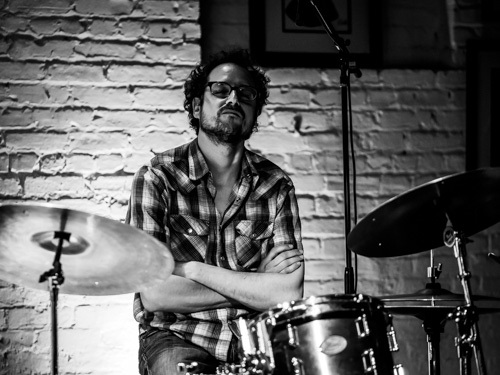 The Uncertainty Music Series presents the trio of Colin Fisher (saxophone), Mike Pride (drums, percussion), and Carl Testa (bass, electronics) at 8 p.m. in the performance space of Never Ending Books, 810 State Street, New Haven. Expect this to be an evening sonic explorations, all improvised, by three musicians who are very busy. Pride has worked with John Zorn, Nels Cline, Tim Berne, Mary Halvorson, Jon Irabagon, and so many more while Fisher is currently in four different ensembles. He has worked with Professor Anthony Braxton, Joe McPhee, and dozens of musicians in his native Canada. As for Carl Testa, he's worked with Anthony Braxton, is the house manager for the Firehouse 12 Concert series, and the curator of the Uncertainty Music Series. 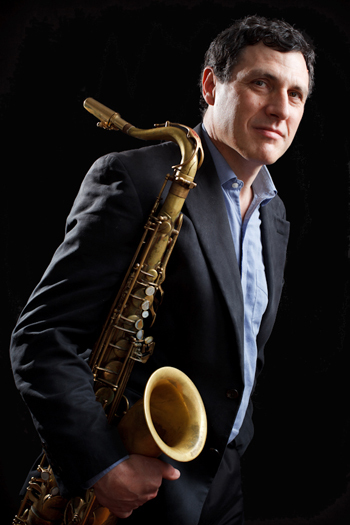 Rich Halley, tenor saxophonist and composer, hails from Portland, Oregon - born there and still lives there. During his collegiate years, he spent time in Cairo, Egypt and several years in Chicago, Illinois. He's an outdoorsman, into hiking, camping, and fishing plus other activities including studying rattlesnakes. 19 albums into his career as a co-leader or leader, he knows his strength and his discography is filled with excellent recordings of creative music. 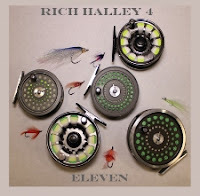 "Eleven" (Pine Eagle Records) came out last Fall and features the Rich Halley 4 including trombonist Michael Vlatkovich, bassist Clyde Reed, and drummer Carson Halley (the leader's son). It was the addition of Vlatkovich (who had recorded with Halley before and the addition of his son that has made a great amount difference in Halley's music. He had worked with trumpeter Bobby Bradford several years and one exciting live album yet Vlatkovich really fits the personality and sound of this music. Most impressive is the work of Carson Halley; he never overplays and has a funky side that pushes this music in interesting directions. Recorded during the same sessions that produced "Creating Structure" (March 2015 release), the album features eleven original compositions by the leader. The previous album was all improvisations (several from earlier sessions) which illuminated just how well the quartet work together. No tentativeness or "wailing for wailing's sake", plenty of melody and rhythmic invention, and great interaction. All that is evident on the "composed" recording as well. Opening with the three-part "Reification Suite", much of this music moves forward on the power of the melodies and the forceful work of the younger Halley and bassist Reed. Not only do they support the soloist but also add their own melodic counterpoint. On the elder valley's fiery tenor solo on the first part of the "Suite", titled "Retroactive", his son really pushes hard while Reed plays a furious counter melody. The third part, "Remnant", features a throbbing bass presence, a steady yet quiet beat and a melody first played in unison then in harmony. The tenor and the trombone 'converse" during the first part of the solo section, then Vlatkovich steps out for a powerful solo followed by a storming statement from the elder Halley. All of that takes place over the simple yet effective beat of the rhythm section. The pulsing bass and the "popping" snare lay down quite a foundation on "Glimpses Through The Fog" and, when the tenor steps into the open, the music really hits hard. There is a touch of Julius Hemphill's "Hard Blues" in the beat Carson Halley creates for "Convolution" yet listen to how the move away from and back into the "beat" through the tenor solo and then explode as Vlatkovich takes off. The ballads stand out as well. The buoyant bass lines on "Slider" free up the soloists and the drummer to play around the beat. "The Creep of Time" does move slowly and features a strong trombone-bass conversation a soft and handsome tenor solo. Bassist Reed steps out for a quick melodic solo before a return to the original theme. When played loud in the car, the sound of "Eleven" reminded this listener of the music created by The Vandermark 5. Both groups "articulate" well, can stop abruptly to go in a new direction, and both groups have splendid rhythm sections. This is, arguably, the best recording from the Rich Halley 4 - yet, there are no weak or dull ones so you must judge for yourself. 4 becomes 5 when Rich Halley adds Vinny Golia to the band for "The Outlier" (Pine Eagle Records). Golia, who can and does play just about every reed instrument he can find, sticks to baritone saxophone and bass clarinet, a good blend with the trombone of Michael Vlatkovich and Clyde Reed's forceful bass. Just as he showed throughout his career in this band, Carson Halley is both he glue and the spark plug for this music. While Golia roars and hollers on "Green Needles", the drummer is creating quite a percussive storm. Drummer Halley's funky side is a perfect fit on the song's thematic material. Reed's rollicking "walking lines" lead in the band on "Long Blue Road", a hard-bop romp (and a group improvisation) that, thanks to the splendid bass clarinet solo, sound like something Eric Dolphy might have created. "Urban Crunch" is cut from the same mold except that the drummer and bass create a much "freer" landscape for the powerful solos (especially the fearsome bass clarinet playing of Golia). Reed and Halley move in and out of the tempo with ease. There's a playful edge to "Rising From the Plains", the pounding floor toms and thick bass tone, supporting the melody and then creating a trance feel under the baritone solo. The trombonist opens his solo echoing the final notes of Golia's romp while the rhythm section stays the course. The tenor and baritone add short fills a la a big band. The tenor solo covers a wide swath of musical territory and is extremely powerful. The other two group improvisations both have a different feel. "Around the Fringes" opens with fragmented phrases from all but the drummer, sometimes together, other times in counterpoint until the rhythm section breaks into a powerful beat for a tenor solo. "The Way Through" opens with the tenor sax and trombone in conversation over the melodic bass. The drums enter, not setting a beat but "coloring" the proceedings. Golia's bass clarinet serves as a counterpoint to the work of trombone and tenor before Halley takes off on an energetic solo. Suddenly, the piece turns into a blues rumination with the tenor setting the pace while the trombone and bass clarinet support and respond to his lines. The album closes with its longest track (10:44), "Nuthatches"; introduced by the bass clarinet and bass, the drums (Carson Halley, pictured left) literally march right in. The tenor, trombone and bass clarinet unite to state the theme and the solos follow. For a while, Vlatkovich bounces atop the military drumming and then plays around and behind the beat. Golia comes in on the final notes of the 'bone solo and is soon wailing, swooping and diving, freeing up the drums while the bass holds the rhythmic center until the three are pushing each other. Pay attention to how the rhythm changes the "feel" at the end of the bass clarinet spot; then, the drummer takes a short but powerful solo sounding like Ed Blackwell in Old & New Dreams, pounding floor toms. The elder Halley rides the percussive waves with a solo that has the feel of both late John Coltrane and the more contemporary Tony Malaby. The soft landing at the end is an appropriate close to a fine musical journey. 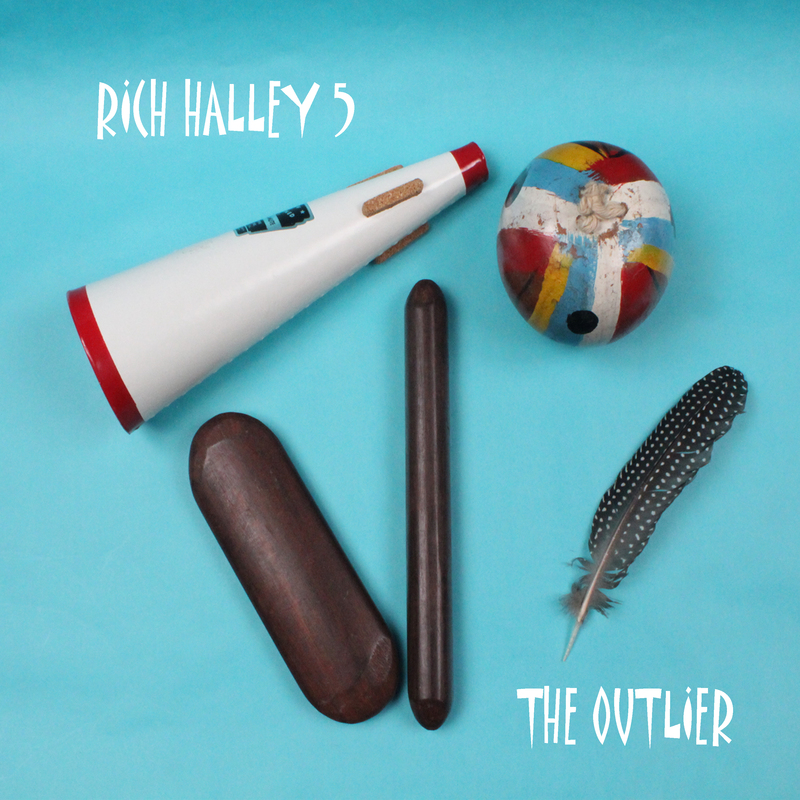 "The Outlier" is the work and play of the Rich Halley 5, musicians who enjoy each other's company, enjoy a challenge, and who do not settle for cliches. This music has roots in the exploratory jazz of musicians such as Coltrane, Max Roach, Julius Hemphill, and others, all of whom took elements from blues, bebop, hard bop, "free" jazz, rhythm 'n' blues and more, continually pushing forward. The music that Rich Halley creates sounds "of its time" as well as timeless; perhaps that is because this music is not concerned with genre but with the story the musicians are telling. For more information about Rich Halley and these plus other recordings, go to www.richhalley.com. 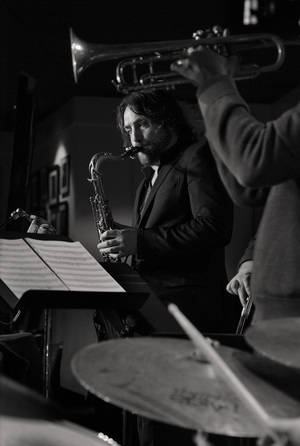 Earlier this year, saxophonist and CT native Noah Preminger released "Dark Is The Night, Cold Is The Ground", a collection of blues songs recorded at The Side Door Jazz Club in Old Lyme with his regular quartet of Jason Palmer (trumpet), Kim Cass (bass) and Ian Froman (drums). Reminiscent, at times, of the blues-based sound of Ornette Coleman's band early in his career at Atlantic Records, Preminger and company dig deep into the original melodies and make them their own. They pay proper respect to the melodies and the go in fascinating directions. The impressive work of the rhythm section and the talented front line earned many rave reviews. This coming Monday evening (8/08), Messrs. Preminger, Cass, and Froman are the headlining act in the penultimate concert in the Paul Brown Monday Night Jazz in Bushnell Park 2016 series. Mr. Palmer is in Banff Alberta Canada teaching in the Banff International Workshop in Jazz & Creative all next week so Dave Douglas will be playing with the quartet - not too shabby, eh? Opening the show at 6 p.m. will be Jeff Fuller & Friends. Based in New Haven and a graduate of Yale, bassist Fuller always has a busy schedule. Through his career, he has worked with many of the best artists on the East Coast including Paquito D'Rivera and the late Hilton Ruiz. He currently is co-leader of Sambaleeza and teaches at the ACES-Educational Center for the Arts in New Haven. He's just released a new CD, "Shoreline Blues", featuring Darren Litzie (piano) and Ben Belillo (drums); those two men will join him on the Bushnell Park stage playing material off the new record and more. The recording is mostly originals with some Charlie Parker and Sonny Rollins tunes for good measures. To find more about the bassist and the CD, go to www.jefffuller.net. To find out more about Monday nights, go to www.hartfordjazzsociety.com. As for Noah P, go to www.noahpreminger.com.